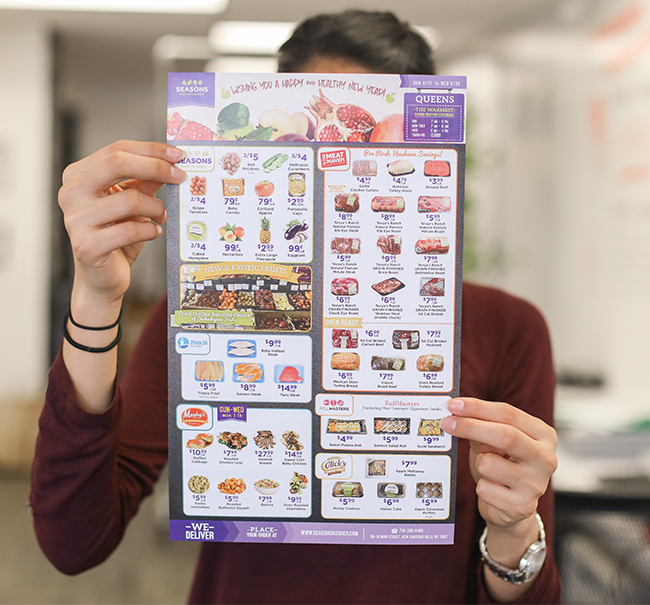 Print advertising is a dinosaur. That’s how Seasons felt in looking at their presence in local newspapers. Week in, week out, the same ads blended into monotonous background noise without ever really getting noticed. Their recent Purpose Discovery had illuminated out their brand identity, now embodied in their new tagline "Shop With Family". But a Purpose is only as meaningful as how it is communicated to the consumer. A tagline is only valuable if it becomes synonymous with brand. 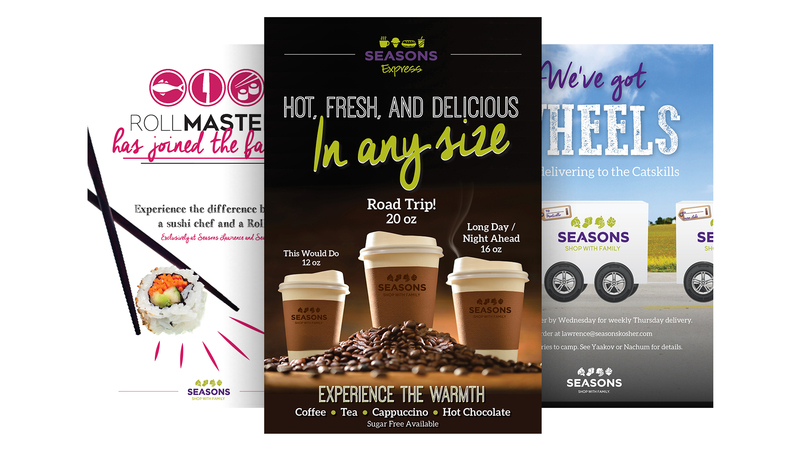 Seasons knew they needed print advertising to get the word out, but how best to effectively deliver their message to the masses? Moving beyond just a catchy tagline, "Shop With Family" created the context for a series of themed ads that stood out visually from the typical, mundane supermarket circulars and also engaged on an emotional level by focusing even more on the relationship of food and family and the events that bring them together. 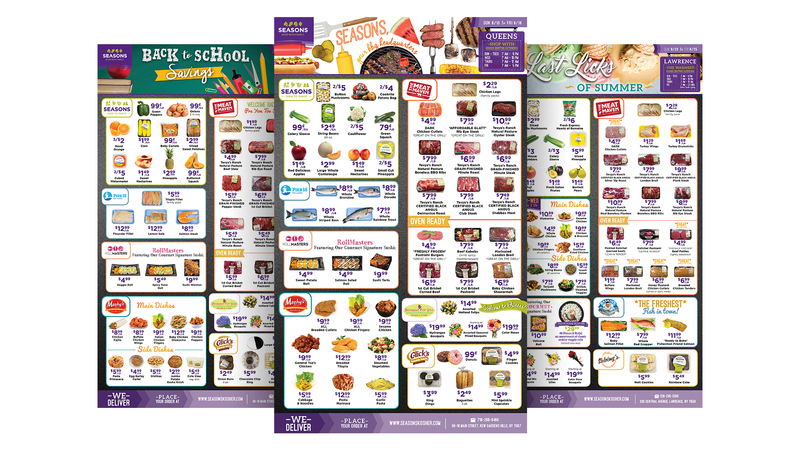 Whatever your family’s needs — whether via their catering department, the late&dash;night hours and extensive selection of Seasons Express, or just the commitment and kindness of its regular staff — Seasons’ new print campaign demonstrated that the store’s appeal was something to be felt and experienced. 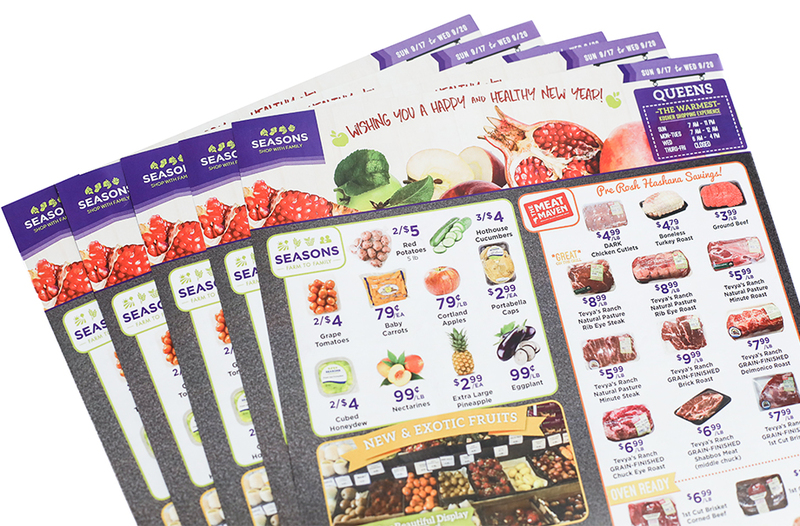 By educating consumers on their services and values first, Seasons was able to establish its role as a caring and valued extension of a customer’s family, forging a lasting, essential bond with its clientele that transcended merely products and pricing. It came as no surprise, then, that a summer postcard campaign targeting parents with kids in summer camp (’Send me more Seasons stuff!’) resulted in Seasons getting postcards of its own from local campers. After all, when you’re away from home, who better to write to than family?